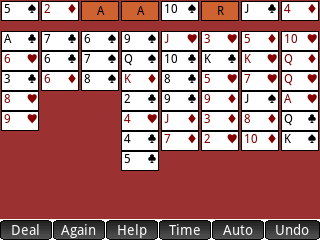 Description: Solitaire game. Build up suits top left to win. Touch a card to pick it, then tap a destination to move it. Cards can only be moved onto the same suit and in sequence.